In this exciting new WHO WAS...? Biography, children will learn of Christopher Columbus' early life at sea, which led him to seek fortune by sailing west in hopes of creating new trade routes with the Indies. Readers will learn why he called himself the "Great Admiral of the Seas" and learn of his struggles to find financial support for his voyage. The book includes over 80 black and white illustrations. Read online Who Was Christopher Columbus? 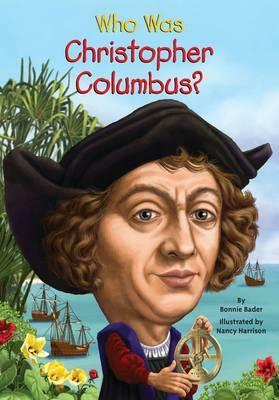 Buy and read online Who Was Christopher Columbus? Download and read Who Was Christopher Columbus? for pc, mac, kindle, readers Download to iPad/iPhone/iOS, B&N nook Who Was Christopher Columbus?